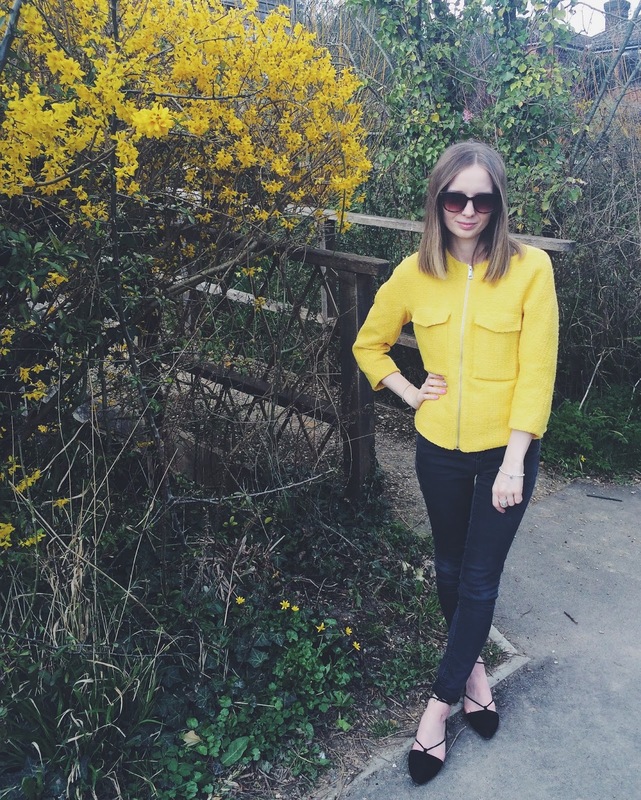 The bank holiday weekend was SO needed and thank the lord, we finally have some sunshine! I actually wore less than 4 layers for the first time this year.. let's just say I am prone to feeling the cold! 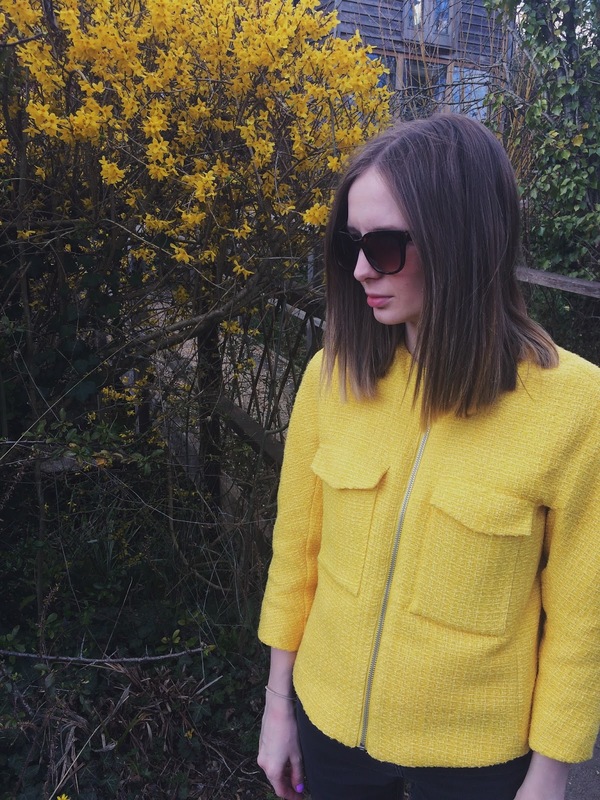 This yellow jacket was a sale buy from H&M, I initially purchased as part of my assignment for my styling course but never ended up using it (the task was to get my creative brain on and DIY 3 garments). I am completely obsessed with jackets and I just can't stop buying them (send help), they're so easy to style and just look nice without any effort required. I decided couldn't let it go to waste, plus it was only £15 and yes, I do justify everything I buy.